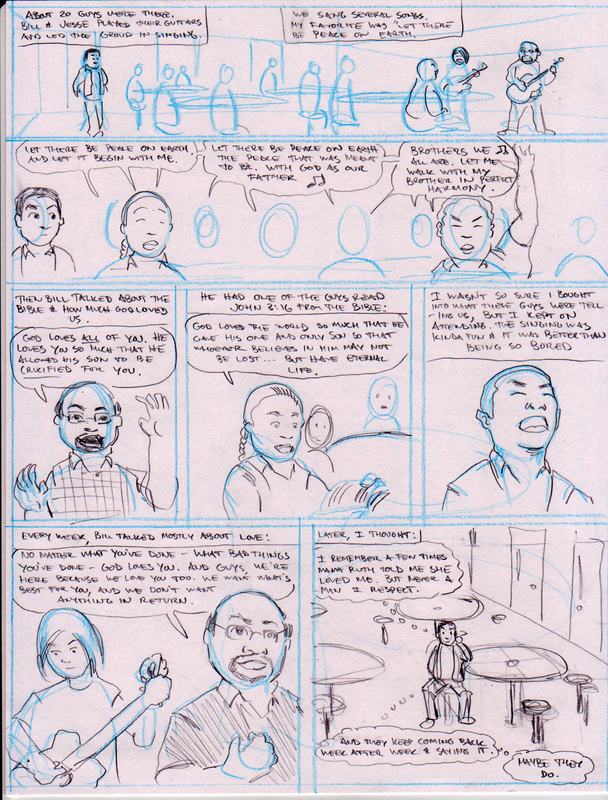 Still hacking away at a big ‘ol comics project! 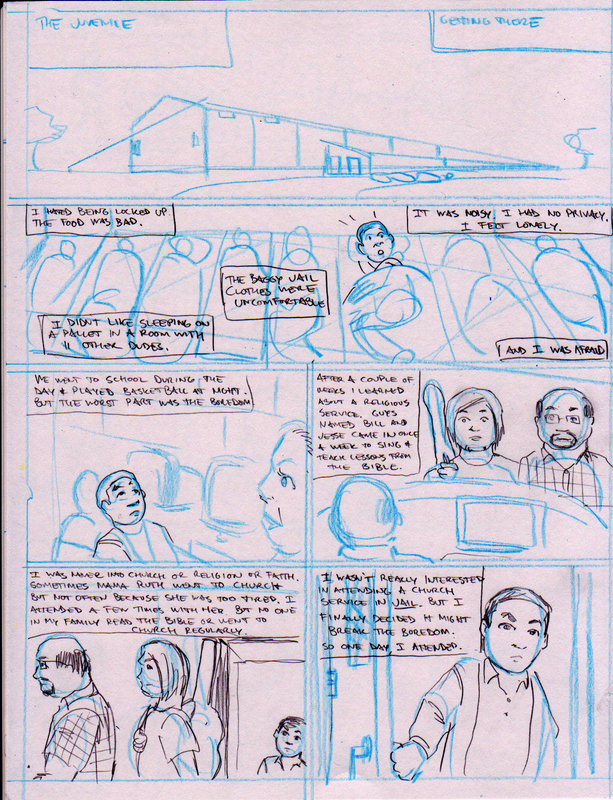 Here’re some rough drafts (blue first, then pencil scribble). (More about what this is here and here). 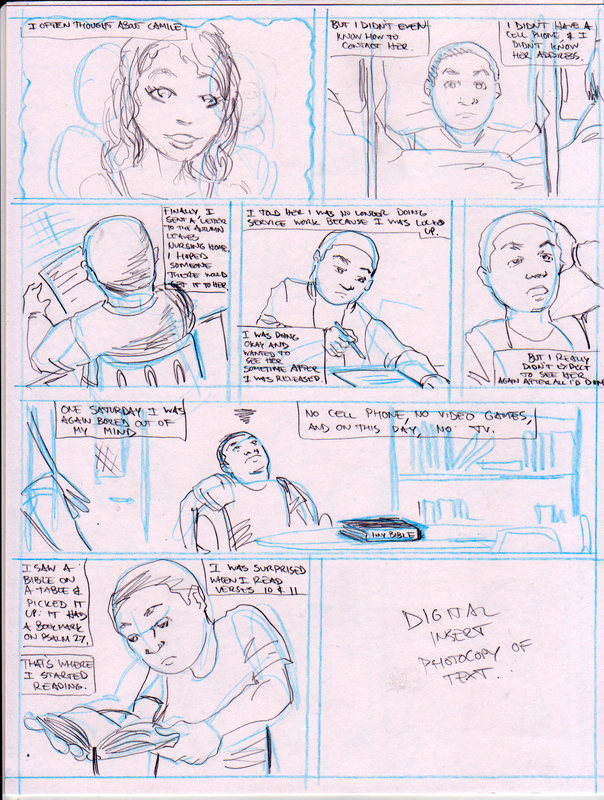 If you’re interested in seeing more pages, Chapter 1 is up on my Google Plus page. Come check it out!